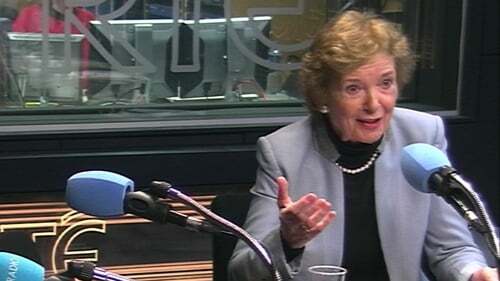 Former Irish president Mary Robinson has said US President Donald Trump seems incapable of understanding the Paris agreement on climate change and will be undermined in his decision to withdraw from it by the people of the United States at business and philanthropy level. Speaking on RTÉ’s Morning Ireland, Mrs Robinson said it is an unconscionable decision and while "we hoped he would listen and learn at the G7 ... he seems incapable of understanding the Paris agreement". She said the majority of Americans, at 61%, want action on climate and the dynamic in America will show that. Mrs Robinson said only 19% of people there want to pull out. The former President, who founded the Mary Robinson Foundation for Climate Justice said there is an injustice in how global warming is caused - mostly by developing countries - and there is a moral, political and economic necessity to act on it. Mrs Robinson said the US cannot begin to formally withdraw from the Paris agreement on climate change until 2019 and not formally leave until 2020, the year when the next US election takes place. She said the effect of climate change in poor countries is truly shocking and it is unconscionable of Trump to say it is not fair to the US as one of the largest historic and current emitters. Mrs Robinson described it as a very fair agreement which involved huge trust at multilateral level. She said many cities, states and businesses in the US are determined to meet those agreements despite the Mr Trump’s statement. Minister for Communications, Climate Action and Environment Denis Naughten said Mr Trump's decision is irresponsible and made "for false reasons". Speaking on the same programme, Mr Naughten said he is "extremely disappointed" and frustrated by last night's announcement. Mr Naughten said the decision would not provide long-term job security to US workers and provides a false hope to them, ultimately by delaying the transition to more long-term job security in clean and green industries. He said President Trump was sacrificing the future of today's children in the hope of sustaining an unsustainable and dirty fossil fuel industry. Ireland, he said, and others now intended to re-double their efforts and lead by example by working with individuals and companies in the US "who want to work to leverage their resources to drive change in the US". He said he believed Ireland is working to close the gap on its own emission targets before 2030, though challenges remain. However, he said Ireland was committed to doing so and could provide an example to the US and others. He said Ireland will hit its renewable energy targets, is a global leader in wind energy and is planting more forestry now than many countries.